Following the Golden State NBA win, Kevin Durant’s mom was a guest on Good Morning America. As I was getting ready for the day, I heard the host, Robin Roberts, say, “She put so much of her life on hold to raise her two sons.” I’m sure there are ways to argue this to be true, but hearing what Wanda Durant shared prompted my thoughts in a different direction. Referring to her son’s 2014 MVP award ceremony (it's worth watching) Wanda said, "I felt fulfilled as a mom. When he gave the speech and he talked about me... I felt like he got it, he understood why I was the type of mother that I was… at that moment I felt like I was fulfilled as a parent because it was like all that hard work really paid off." Does that sounds like a life “put on hold” or, like a life lived with intentionality, purpose, and fulfillment? I work with people at all stages of life—young moms overwhelmed with managing a household and career, retirees who realize that “waiting for retirement to get organized” probably wasn’t the best plan, and everyone in between. A common thread is a desire to make the most of the current stage they’re in, to simplify and purge things, so that more attention can be focused on relationships and what matters most to them. Wanda Durant was clear in her understanding of what her life was about and she embraced it— making sacrifices yes, but choosing to build into those she loved most dearly, her two sons. There’s no “one size fits all” when it comes to living a life with intentionality, purpose, and fulfillment, but here are some Timely Tips to help you live like the mom of an MVP. Identify what’s most important to you. No one else can do that for you (even though they’ll try). It may not be the thing(s) you’re currently investing in. I’ve never heard of someone on their deathbed saying, “I wish I had spent more time shopping online, or watching Netflix." It’s easy to slip into a comfortable routine that leaves no time for things that truly give us purpose and meaning in life. Think short and long term. Reframe the “putting your life on hold” perspective by identifying current and long term goals that align with your values. Weigh the costs and embrace the sacrifices that come with those commitments. Commit to “living” your current life with purpose. You may not have the pay-off of a famous, wealthy son in the NBA like Wanda has, but you will experience a sense of fulfillment. Make the most of your strengths. What do you do well that will enhance your values and goals? My husband is a natural coach. From teaching our kids how to walk and talk, to coaching their softball teams, he used his skills in his role as a dad. How can the strengths and skills you have help you fulfill your current goals? Reject “all or nothing” thinking. My oldest daughter did lots of musical drama during her high school and college years. Now with three kids (two three-year-olds and a one-year-old) she can’t commit to a Roger Rocka’s rehearsal/performance schedule, but she recently participated in the Clovis Community Choir patriotic concert. She found an outlet for her passion that fits her current life-style. All or nothing thinking sometimes stops Seniors from purposeful activities, too. Maybe you can no longer work a 40-hour week, but there are many part-time jobs and volunteer opportunities out there. Create an environment conducive to your goals. You knew I’d get to this, didn’t you? Is your home supporting the values you’ve established? Are you wanting to focus more on relationships, but feel too embarrassed to invite people in? Do you have a place to work on your projects and goals? Is your home serving as a respite for your family or does your stress level rise as you enter the door? Sometimes, just like we need to create space in our calendars, we need to create space in our homes for what’s current and important. Lives of meaning and purpose don’t need a “model home” environment, but they need a supportive place to restore and energize you as you achieve your goals. If this struck a chord, but you’re not sure where to start, or afraid you won’t follow through, I offer Close-The-Gap Phone Coaching in addition to my hands-on organizing. Through coaching I help people foster awareness around their values and motivation, create and engage in action plans, and learn through the process of challenges and completion. Feel free to contact me. The other day I lifted out the final stack of paper from a box we were working through and there it was… Organizing from the Inside Out by Julie Morgenstern. My client had a sheepish grin on her face. Organizing books are a common find in my clients’ homes and offices. There’s some great information out there and today I’d like to share my top three favorites (in no particular order), what they have to offer, and how you can get the most out of them. One of the cool things that gives credence to this book is that Morgenstern now has an organizing empire, but she wasn't born naturally organized. Her whole premise is that if she could learn to be organized, so can you! The book has four parts including perspectives on organizing and how to create a plan. She goes into detail about how to organize every room in your house, office, and even car. The book ends with a section on time and technology. Organizing for the Creative Person by Dorothy Lehmkuhl and Delores Cotter Lamping, C.S.W. If you’re creative and find getting and/or staying organized a challenge, this book's for you! Chapter titles include “Creative Ways to Schedule Your Work,” “To Keep or Not to Keep,” and “Plowing a Path Through Personal Papers.” The book is full of relatable real-life examples. Each chapter ends with a list of the most important points. So helpful! Peter Walsh says, “This book is for people who are overwhelmed, trapped, suffocating beneath their stuff. This book is for people who think cleaning up is a waste of time, but spend whole weeks of their lives looking for their keys.” While practical and applicable, Walsh’s book also speaks to the emotional aspect of organizing. Part One helps you evaluate your circumstances, set priorities, and cast vision. “As soon as you calculate the cost of clutter, you’ll realize that it’s not worth holding on to things… because of what they’re worth. Remember to think in terms of the life you want to live and the vision you have for your home,” says Walsh. You might remember Walsh from his TLC hit series Clean Sweep. My claim to fame was when he sat next to me in a workshop at a National Association of Professional Organizers conference! Despite his success, he’s a very down to earth person. I love his book, but I must admit, I’m a bit more gentle with my clients than he was on his show. MAKE IT HAPPEN with small group conference calls! I discovered parchment paper! How did I not know about this for so long?? It’s not like I just started baking last year. For years I’ve pried stuck-on cookies off baking sheets, and had to soak them before washing. What a discovery parchment paper was! My baked goods slide right off the pan and leave nary a crumb. Sometimes a simple fix can make all the difference in our ability or enjoyment of a task. Not all of us are bakers, but all of us are tax payers. I’m not proposing that we can “enjoy” preparing our taxes, but I can help take the dread out of it. Last year I set up a tax document system for a client. This month as we prepared her paperwork, she commented, “That was too easy!” It made her a little nervous, because it’s normally a more arduous task. Were we leaving something out? Nope! She just had the tools to make the task more manageable. If you’re one of the many who find themselves in a panic trying to locate all the numbers and documents your accountant requires, check out the Timely Tips and next year your tax prep will be "too easy" too! TIMELY TIPS - to make tax time too easy! Go to www.irs.com/articles/tax-form-checklist or use the itemized list your accountant requested for this year’s tax preparation. This is a starting point for knowing which documents you need to collect for next year’s taxes. Things change over time, so watch for new deductions you might qualify for. For example, if you have a rough year health-wise, you may qualify for a deduction for medical expenses (must surpass 10% of your adjusted gross income, unless self-employed). If you started a home business, you can deduct a portion of the cost of your utilities. Teachers who spend their own money on classroom materials (which is all the teachers I know), receive an above-the-line tax deduction for those expenses. Child care, relocating, cost of financial planning, these all have deductions for those who itemize and qualify. Check out this list at RealSimple.com for commonly overlooked deductions. Always allow your accountant and/or legal counsel have the final say on your personal and business taxes. On Sheet 1 list all your income sources-- W2s, investments, unemployment, Social Security, rentals, etc. Below those, list your income adjustments-- mortgage interest, IRA contributions, students loan interest, self-employed health insurance, etc. That's column one. In column two record the totals. These documents normally arrive in January following the tax year. On Sheet 2 list your deductions-- charitable contributions/donations, childcare costs, business expenses, etc. Use column two for the totals. Use additional sheets for tabulating deductions that have multiple entries throughout the year. Use your "Tax Records" spreadsheet as a template, so you don't need to recreate it every year. "Save As" and label it Taxes 2017. Print it out, or manage it on the computer for easy calculations. Use your spreadsheet as a guide to create labeled folders for your tax documents. If you have minimal documents, you can keep it simple with three folders-- Income, Income Adjustments, and Deductions. Create additional folders as needed for categories with multiple documents like Medical Expenses, Contributions, etc. Store these in a file drawer, file tote, or digital file if you're going paperless. Determine to maintain your system by not allowing your tax documents to land anywhere but in the designated folders, filing immediately upon receipt. You may choose to record them on your spreadsheet as they arrive, or monthly, quarterly, etc. Create duplicate "to be recorded" folders if needed. At the end of 2017 your tax prep will be "too easy!" My motivation was obviously more about relationships than a healthy body. At this point in life (beyond midway), working on a healthy body is… well, work! I don’t think I’m the only one who feels that way. Getting healthy, along with getting organized, are the two top New Year’s resolutions ("2017 New Year’s Resolutions: The Most Popular and How to Stick to Them,” by Nicole Spector, NBCNews.com). Most of us must resolve to do those things because they don’t just happen. But, why is it that even when we resolve to do them, they still don't happen? What’s stopping us? If you've not yet set a goal for 2017, or if you've you've already given up yours, please consider the following Timely Tips and become unstoppable! Consider the "why" behind your resolution. Why do you want to get healthy, get organized, spend less/save more? Ask yourself - "What can I do more of, or less of when I reach my goal?" Viewing the action as a means to the end, rather than the end itself is much more motivating. Name the benefits as the end goal. Tiny steps. In their book Switch: How to Change Things When Change is Hard, Chip and Dan Heath talk about increasing success by “shrinking the change.” Rather than, “I’m going to start spending two hours at the gym every day” try, “I’m going to walk for 10 minutes during my lunch hour” or, “whenever I park my car, I’m going to park on the far side of the lot.” It may seem minuscule in relation to the overall goal, but start with something manageable, and do it! That's much more beneficial than giving up because of unrealistic expectations. A day? A week? When working with clients who are chronically disorganized, I don’t expect them to create a spotless house overnight and every night. But if they're serious about getting organized, it's a lifestyle commitment and consistency is key. I love how Joanna Weaver defines consistency. “Consistency doesn’t mean perfection; it simply means not giving up.” None of us transforms overnight. Put your goal in the perspective of a lifestyle change and don't give up. I, for one, am glad I didn’t give up because you know that boyfriend I was running for? He became my husband! May the actions you take in this new year result in lifestyle changes and bountiful benefits! And yes, that's me and my sweetie back in the day doing a selfie with the cows. A year ago this month, I had the joy of helping one of my senior clients decorate for Christmas. Due to her physical limitations, she had decided not to, but I could tell that putting up the tree and her favorite decorations would lift her spirits so, I insisted. Little did we know that would be her last Christmas here. We went out to the garage where she showed me stacks of Christmas bins. As I lifted the lids and pulled things out she chose the ornaments and decorations that were most precious to her. We brought them in. She sat and recollected where things went and I did my best to position the decorations to her preferences. It was dark outside when I left that day. She had a huge smile and as I drove away the glow of the tree lights through the window was a delightful scene. Her Christmas would be a little merrier surrounded by her favorite things. In January, I packed her precious ornaments and trimmings in new bins to keep them separate from the rest of the decorations, with plans to purge and donate the discards. This was in keeping with her goal to downsize her belongings so that they wouldn’t be a burden on her family when she was gone. Even though it was an hour drive to her place, she was such a delight that I looked forward to our almost weekly organizing sessions. The week after Mother’s Day we met and continued the process of purging, discarding, and organizing. The following Thursday I stood on her doorstep and no one answered. I was immediately concerned, called her cell phone and left a voicemail message. I was briefly relieved when I saw a return call from her. But it was her son, sadly informing me that she had unexpectedly passed away the day before. Through the window I spoke words of comfort to her furry little companion who was barking inside. She indeed was precious to many and is missed by all who knew her. I share this experience to challenge you to focus on what’s truly precious to you this Christmas season. Organizing, whether it’s your stuff or your life, is all about prioritizing—letting the cream rise to the top and letting go of the rest. If everything’s precious, then nothing’s precious. Give priority to the people, things, and activities that mean the most to you. If you don’t make those decisions, someone else will make them for you. As my client’s son opens the Christmas bins we packed last January, he will see the decorations his mom truly valued. By selecting what mattered most, it lightened her load and his too. Will others see what you value by your holiday traditions, decorations, meals, and gatherings? Can you lighten your load and enjoy the season more by intentionally selecting that which matters most and letting go of the rest? May you and yours find joy in focusing on what is precious to you this Christmas. For me, it is the joy of knowing Jesus—the reason for the season. For so many, the holidays are painful due to an acute awareness of the absence of someone who has passed. If you would like to honor a loved one who is dearly missed, you're invited to the Christmas Memory Tree Service at Flipside Church. It's a family-friendly time where you can bring an ornament to place on the Memory Tree in their honor. All are welcome! "You're going to need a BIGGER CLOSET," said the ad in my Real Simple magazine. It was touting the idea that if the shoe fits, buy one in every color. But what if you're like the woman who called me today and already has 200 pairs of shoes? I'm going to go out on a limb and say a bigger closet isn't always the answer. In today's society bigger and more is almost always associated with better. We don't want to admit that we don't have room, don't have time, or can't afford it. So, we cram more into our space or calendar. We extend our credit to create the illusion that we have unlimited resources. I recently heard a wealthy young man interviewed on the radio. He is very philanthropic. The interviewer asked, "How do you decide how much you're going to give?" His answer was compelling. He and his wife determined how much they need to live on and then choose to give away everything they earn above that. Gives a whole new meaning to "more is better," doesn't it? A term made popular by Julie Morgenstern in the organizing world is "equalize." It's the final step in her SPACE formula-- Sort, Purge, Assign Homes, Containerize, and Equalize. In her book Organizing from the Inside Out, Morgenstern uses the term to describe the maintenance part of organizing. There are many facets to maintaining organization, but today I want to focus on equalizing as it's defined in the dictionary-- to make even or equal. Today's Timely Tips will help you determine where you're out of balance and how to restore order. When you equalize your space you don't create walk-in closets that you can't walk into. You don't have pantry supplies spilling out of the cupboards, or office storage so crammed that you can't see what you have. Just like the wealthy young man, you first determine how much you need. How many pairs of black boots? How many coffee mugs? How many sets of sheets? Intentionally keep the amount you need-- choose your favorites, and let the rest go. For consumables decide how much space you have or want for them to occupy. Keep it equalized by not buying more than will fit. Yes, even if it's on sale! It may cost you more later, but it will cost you more now in terms of space and stress if you exceed your predetermined boundaries. When you equalize your schedule you don't add and add new responsibilities until you're running ragged. You don't crumble under the weight of over-commitment. Rather than adding things will-nilly, evaluate how much discretionary time you have. Make a list of what's important to you. Schedule those commitments and activities according to priority making sure to include some down-time. When a new request or opportunity arises, look at your schedule and make a choice. Will it replace something because it's more important? Can you add it later when another commitment ends? Equalize. When you equalize your money, you're not smothered in credit card debt. You don't succumb to "buy one in every color" ads. I can't think of a better time to consider how to equalize finances than the holiday season. The most obvious way is to not spend more than is coming in. Can you imagine a January not stressed by credit card bills? Give yourself permission and explain to others if need be that you're intentionally cutting back this year to keep from acquiring more debt. Determine the discretionary amount of money you have and create a list of priorities. From that list create a holiday budget. When you discover something cost more than expected, equalize by cutting back on something else. You can do it! In January you will breathe a sigh of relief instead of grief. Two Classes Coming Up - SOON! “The family is the nucleus of civilization.” --Will Durant. This may be a scary statement if your family feels chaotic. So how do we combat chaos when kids, toys, and crazy schedules rule the roost? This class offers practical tips and tools to create a more peaceful and productive home. Strategies include organizing kids’ rooms and keepsakes, family schedules, chores, meal planning, teamwork, and routines. You will be inspired and equipped to make transformational changes in your home and family. 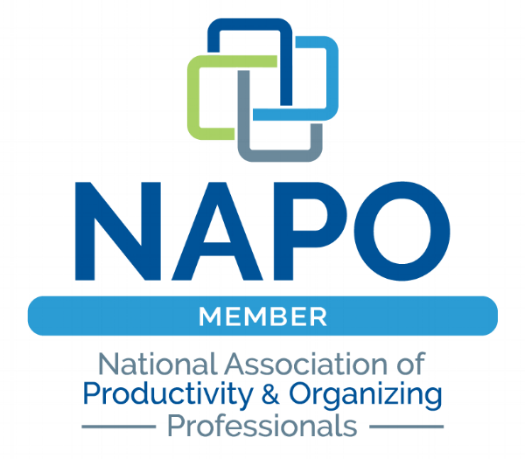 Whether your life is an organizational nightmare, or you're simply looking for some tips to help you fine-tune things, this course provides practical tools to establish a more peaceful and productive environment. Topics include what to do with the endless paper flow, organizing your space, and how to manage your time and household. What would you rather have, a zillion things to choose from on a menu, or a dozen things that you know you really like? Jane Porter in Why Having Too Many Choices is Making You Unhappy tells of searching for a toilet brush on Amazon. With over 1,000 to choose from, the process drained her and she ended up at her neighborhood Dollar Store where they had exactly one to choose from. If we, as adults, struggle with choice overload, imagine our children entering their bedrooms or playrooms piled with a plethora of toys. Entering that chaos, it’s no wonder children prefer the ease of sitting in front of the TV or electronic device. I posted a question about toys to a moms’ group on Facebook. In the first four responses, two of them said they had recently downsized toys and found that, as a result, their children are spending more time playing with their toys. So how do we transform toy chaos to this utopia I speak of? Check out today's Timely Tips and discover how less is more! TIMELY TIPS - for less toys and more play! Observe - Start with some intentional observation. Clue into how and where your kids are spending their playtime. Do they prefer playing near you, or do you find them happy to be alone with their Legos? What are they playing with most? It may be that they always play with the same thing because it’s the only toy they can find in the mess, but it also might give a clue as to the type of toy your child prefers. Location - Based on your observations, determine where to store your children's toys. You might decide that some toys belong in the family room, if they are things the family plays with together or if your child is more social. You may decide to have the playroom be the boundary for toys so there are fewer places to clean up at the end of the day. My daughter recently transformed her dinette into the girls' kitchen/art room. Now they can "cook," paint, or have snacks while Mommy works in the kitchen or nurses baby in the adjoining family room. There’s no one right way to do it. You’re the expert when it comes to knowing what’s best for your family. Purge - The one overarching goal is to not have more toys than your children can comfortably manage and choose from. When I organize children’s rooms, the first step is always to purge. Some no-brainers are things they no longer play with or things they haven’t grown into yet (store elsewhere), broken toys or toys with missing pieces, and too many of one thing. Keep those things that you observe them enjoying. Be selective based on your space and goals for your children's development. Depending on their age, include them in the process so that they can develop purging and organizing skills. If there are some debatable items, put them away in a bin to be rotated in at a later date, or donated if not missed. Containerize - The next step is deciding how much space you want to use for storing toys (now that keeping them scattered all over the floor is no longer an option). You will also want to choose a storage system or containers that make toys easily accessible both for play and clean up. This is where some Pinterest, Ikea, DIY, and Amazon ideas come into play. Keep in mind putting like things together, containerizing and labeling. If there are still more toys than will fit in your new system—purge some more! Maintain - Honor the boundaries you've established. When new toys arrive, equalize by removing something else. Again, it's an opportunity for your child to learn decision-making skills. If you can connect with a family or organization that needs toys, help your child to see how his excess can benefit someone who is less fortunate. NOTE TO GRANDPARENTS: Be wise and sensitive to your children's requests when it comes to purchasing toys for your grandchildren. Consider buying experiences (zoo passes, day trips, etc.) or ask if there are higher priced items you can contribute to that the child is saving for (like college). ModernParentsMessyKids.com has a Top Toy Gift Guide worth checking out. Less toys, less mess... more play, hurray! When my kids were little I supplemented our income with folk art painting. Okay, it was probably more of a hobby than a moneymaker, but once in a while it came in handy-- like the time I had just finished a boutique and our refrigerator conked out. There went my profits! Without the space for a craft room in our home I resorted to using the kitchen table as my workspace. Needless to say, there were challenges keeping little hands out of my stuff and extra work clearing it off for every meal. Too often we get stuck in a frustrating situation when an answer might be right “outside the box,” or in my case, inside the closet! Looking for another option, I spied our coat closet. I relocated the coats to a line of hooks on the wall in the laundry room. I purchased a desk that fit inside perfectly, wall to wall. My husband graciously assembled it-- inside the closet. The shelves above held my project supplies. I used a folding chair, which fit snugly in the doorway so no little bodies could reach the work surface. When not in use, the chair folded up and the door closed to hide the mess. A perfect solution! So, what has you stuck? What’s not working in terms of your space? What do you want to do or have that you don’t currently have a space for? Today's Timely Tips are designed to get your thoughts flowing and help you design creative ways to use space and products. These may not be your particular challenges, but hopefully, they'll spark some great ideas. The Spare Room - Do you have a guest room with nary a guest? Consider letting go of the bed so you can use that space for your exercise equipment or craft table. Keep an inflatable mattress on hand, or use a trundle day bed or sofa bed for the rare occasion of an overnight guest. A fold-down table for crafts and projects gives you versatility with your space. One of my clients uses one spare room as a guest room and the other spare room for storage. Bins of party and holiday supplies are stored there. Why not? It makes so much more sense to use the square footage you’re already paying for, than to go out and rent more storage! I’ve seen bedrooms turned into closets, and closets turned into bedrooms. Too often we are limited by tradition or simply not thinking outside the box. Kids' Stuff in the Kitchen - Does the bottom of the china hutch have to store placemats and dishes? No! Not if the kitchen table is a homework station and you need school supplies handy. Are you frustrated with your kids pulling toys into the kitchen while you’re making dinner? Why not designate a bin of “kitchen toys” and store them in the hutch, kitchen cabinet, or in a rolling cart that you can easily put elsewhere when desired? Don’t fight it, fix it! The Home Office - Most people still feel like the home office is where they “should” do their bill paying, etc., but we don’t. Laptops have us on the couch or kitchen table. We don’t like to be isolated, so embrace it. A rolling file cart can store the files and office supplies you need and be rolled into a nearby closet when not in use. Lose the big desk and transform your home office into a man cave, exercise, craft, or play room. Ironing Station - If you’re among the diminishing population that still irons clothes, you may think that it “should” be done as part of the laundering process, when actually it’s done whenever you pull something wrinkled out of the closet (or am I the only one that does that). So, rather than have the ironing board in the laundry room that’s across the house from your bedroom, set up an over the closet door board or attach an attractive wall-mount cabinet board in your bedroom, so it’s handy for those quick touch-ups. Room Dividers - Maybe an attractive room divider is all you need to double the productivity of your space. You can section off an area in your great room for a kids' play area, music "room," puzzle/game table, or command center. Create a more defined entry with a half-wall book shelf or mud room bench. Hang a privacy curtain or use a paneled divider for older kids sharing a room. As I was sorting closet contents with a client yesterday, she repeatedly used the two toxic words, “for now.” She’s not the only one. We all do it at times. A few minutes ago I said those words to my husband as we moved a lamp we’re replacing. “Let’s just put it here for now,” I said. What makes these words so toxic? I believe the amount of clutter in one’s home directly correlates to the number of times a person says, or thinks, “I'll just put this here for now." Today's Timely Tips expose the excuses, consequences and solutions to these two toxic words. Temporary Holding Place - The least harmful use of these words is when we need a temporary home for something, like the lamp we're donating or the shirt we're returning because it's the wrong size. These things cause clutter, but if you put it in your schedule to complete the action, it's temporary. It’s frustrating when you can’t find your favorite shirt because you forgot it’s still packed, or in a pile on the couch. It’s costly when the mail doesn’t get opened and a bill becomes overdue. It's overwhelming when all the “for now” stuff accumulates in the spare room and you don’t know where to start. Marie Kondo, author of The Life-Changing Magic of Tidying Up has a simple mantra, “Don’t put it down, put it away.” Putting something down can happen anywhere. That means when you go to look for it, it could be anywhere. Putting something down gives us the false sense of completion, but as these deferred actions accumulate so does the stress. So, "don't put it down, put it away." Deferred Decisions - The third and potentially most challenging reason for those two toxic words is that we defer decisions. We don’t have a designated spot for the new kitchen gadget, so rather than deciding where to put it, it sits out on the counter. We don’t know where to file our Health Benefits package so it joins a stack of other deferred decisions on the desk. We feel like we’re saving time by just throwing it on top, but in the end it does the opposite. When a pattern of deferred decisions is established, it becomes increasingly difficult and time consuming to find things. Things that cannot be found at all have to be replaced, taking time and money. Not to mention the increased stress while searching for things. As painless as I try to make it, I often feel like I’m holding my clients’ feet to the fire as I press them to make decisions. Otherwise, they easily move things from one pile to another, or try slipping things into their pockets instead of deciding—is it a keep, toss, or donate? If it’s a keep, where is its home going to be? Deferring the decision feels easier at the time, but the consequences are not so pleasant. Give up the idea that your decisions must always be perfect. They won't be. If you're stuck, ask for advice. Fear the consequences of not deciding, rather than deciding. And then - decide! You will reap the benefits of a more peaceful and productive environment! How hard is it for you to focus on one thing at a time? Technically, our brains can’t think about two things at once, but the speed at which we switch from one thing to another can make it feel simultaneous. When this happens something often gets overlooked while we move on to the next thing. While searching the internet for information on mindfulness I came across a site that claimed mindfulness can alleviate pain. That triggered thoughts of my tendonitis and the fact that my elbow brace order from Amazon was overdue. Soon I had switched over to “track my order.” Squirrel! Anyway, back to mindfulness… today I’m not referring to practices of yoga or meditation, but simply paying attention, on purpose, in the present moment. You might be wondering what that has to do with organizing, or your mind may have wandered off to another topic completely, in either case, today's Time Tips describe four ways that being mindful can help create a more peaceful and productive environment. Arriving Home - You walk in the door thinking about what you’re going to have for dinner, what the electric bill is going to be since you left the air conditioning on again, and how to weasel out of an evening meeting. You’re not mindful of the stuff you hauled in from the car and mailbox and how it’s now landing in various places around the kitchen and dining room. By paying attention, on purpose, in the present moment, you can alleviate the piles of clutter created in this mindless state. As you pull into the garage and gather your things, consciously think about where you’re going to put them. Choose to stay focused until they get there. Now you can move on with your evening without having a disaster waiting for you at the end of the day. Shopping - Oh look, that’s cute! It’s on sale! One-click ordering! It’s easy, it’s seductive, and it can contribute to your clutter when you’re not shopping mindfully. Pay attention to what’s driving your desire. Is it shopping therapy after a rough week? Is it keeping up with your peers? Rather than mindlessly ordering online, or coming home with something that will get crammed into an already full closet, mindfully ask-- is it something I need, can afford, and have space for in the present moment? Shopping while tired or hungry can impair your mindfulness whether at the grocery store, mall, or at your computer. Transitioning - When you finish a project or are leaving one thing to do another, what is the state of the area you’re leaving? You’ve finished wrapping the gift, but is the wrap, scissors, and tape put away? Being mindful means you’re paying attention to the present moment, not moving on until you’ve put things into place. It’s one of those valuable Kindergarten rules that keeps us from having overwhelming messes to come back to. One mindful tactic is to walk backwards out of the room or office. It may feel silly, but it will help you to be conscious of having things in their place before leaving. Morning/Evening Routines - We tend to go into auto-pilot when we’re getting ready in the morning, or going to bed at night. If you wake up to and return home to a disaster in your bedroom and bathroom, then some mindfulness may be in order. Remember, it’s paying attention, on purpose, in the present moment. As you’re getting undressed think about where you are. Position yourself by the dirty clothes hamper and shoe rack. 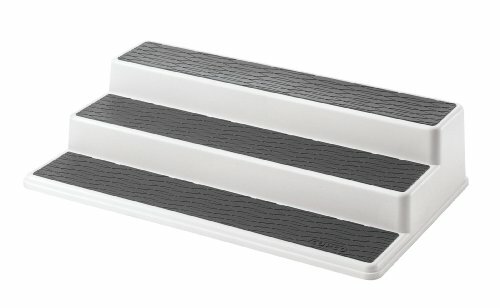 This will keep your floor clear for walking, not stepping over things. As you get ready in the morning, mindfully take the extra seconds needed to put things away as you use them—hair dryer, toothpaste, etc. I’m not talking about maintaining model home status, simply having some clear space. Once you’ve been mindful about this new pattern for awhile, it will become second nature and you can resume planning your next vacation while brushing and flossing. Kudos to my son-in-law, Micah, and his generation of guys who are not strangers to the kitchen! As much as my granddaughters love to make food in their play kitchen, they will grow up expecting their husbands to have culinary skills like their daddy does. My husband and I are more traditional-- he stays out of the kitchen and I stay away from the barbeque. One custom we’ve learned from our kids is-- one cooks and the other cleans up. I like that! However you divide the culinary duties in your home, a well-organized kitchen is a happier place to be. Today's Timely Tips have three key ingredients to creating this happier place, but there’s lots of room for experimenting and seasoning it to your own taste. PURGE - As usual, that's the first key ingredient. When kitchen drawers and cabinets are crammed full, you’re less likely to find what you need and more likely to go out and buy a duplicate. You’re less likely to put things away, because there’s no room, and more likely to eventually avoid the kitchen all together. Purge the gadgets and utensils that haven’t been used since—well, ever. Purge the plethora of coffee mugs and reduce to what you actually need and use. Purge the lidless containers, and containerless lids. If you replaced pots and pans, but never let go of the old ones, do it now. Same with mixing bowls, dishes, glassware, thermal mugs, water bottles, etc. Purge the items you've been storing “just in case” like your fondue set, punch bowl, etc. I’m sure there’s someone out there who has saved everything. You can borrow from them, if needed. If you can't decide about some things, place them in a box in the garage or high in a closet. If during the next six months you go there to get something out of the box, it’s earned its keep. If not, let those things go, too. Cruise through your spices and check for expired dates. Do the same with other dry goods. Are there half-used boxes of cereal no one has touched in months? Are there specialty items you purchased for a recipe that you decided is too much work? Let the items and the guilt go. ZONES - Now you’re ready to move on with ingredient two—setting up your zones. Think about where you stand when you prepare coffee, make lunches, put left-overs away, bake cookies, prepare dinner, etc. Designate zones based on where you use items and place like things together. 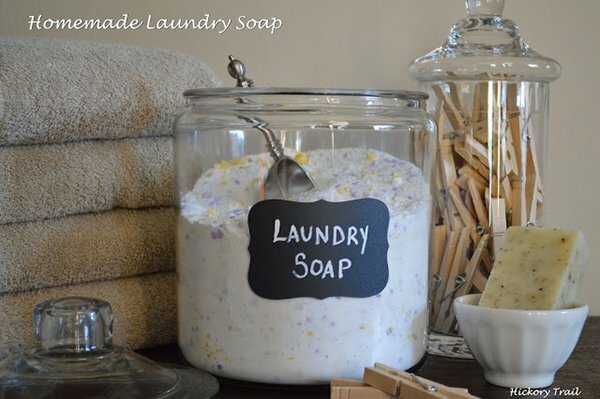 The countertops should only store items that are used daily, or multiple times per week. The most accessible cabinets and drawers should be used for other items that are frequently used. Place the rarely used items in the high and low areas and in those deep corner cabinets. PRODUCTS - Ingredient three is using organizing products that make your space more efficient. Click on the pics below for a link to purchase them from Amazon. A three-tier cabinet organizer allows you to have food cans and spices three deep and still see what’s in the back. Turn tables provide better access for items in the back or in corners. Wire or wood sliding drawers can be installed in most cabinets and provide easier access, especially for heavy pots and pans. A cutlery and utensil drawer organizer allows you to group like items and see what you have. Keep the most often used utensils in a caddy near the stove. Make good use of your vertical space by hanging mugs and stemware. Hang under shelf organizer baskets to fill the gap and keep loose items contained. Pan, lid, and tray racks keep things from having to be stacked so you can grab one without lifting the whole pile. Under cabinet organizers include K-cup holders, cookbook and iPad holders, knife block holders, and more standard items like can openers and coffee makers. These all help keep your counters clear. A kitchen wrap organizer allows you to stack without a struggle. Expandable shelves give you twice the storage space. Containerizing items in your fridge, freezer, and cabinets makes your kitchen a happier place! Dinner choices: Take it, or leave it. My husband and me on a country-drive date in the 70s. I'm old enough now to see fashion trends come back around. Last week Express.com had a whole 70s line on their "Trending" page. Looking at the styles brings back memories of my suede fringe vest and high-rise pants. As things circle around, designers usually add a little twist that makes your original item not quite in style. So, I'm not too sorry I didn't save all those bellbottoms. My parents recently did a full circle from apartment living as newlyweds to apartment living as seniors. The twist is that this apartment provides lots of community activities and continuing care, if needed. They chose to downsize, or “rightsize” as I like to call it, paring down to the items they love, use, and need at this stage in life. I’m working with more people my age who are also choosing to rightsize. Maybe not making a move, but certainly reducing their belongings. Many have experienced clearing out a houseful of their parents’ things—inheriting not only the items of value, but stacks of magazines, closets stuffed with old blankets, etc. For some, the process of rightsizing is imposed on them when it becomes compulsory. This adds a great deal of stress to an already difficult situation. Some put it off because they feel overwhelmed or a have a misconception that it means throwing out all their stuff. Whether you’re scoping out retirement communities, or simply wanting to rightsize in the home you’re in, here are some Timely Tips to help you accomplish your goal. 1. Clearly identify what's most important to you now. Maybe in the past you did a lot of skiing, entertaining, or your own yard work. Consider changes in your interests and abilities and identify your current priorities. Evaluate how you spend your time and which belongings are essential to you now. The items that don't fit your current lifestyle could add value to someone else's life, create space in your home, and reduce the amount of stuff you have to manage. 2. Look around each room with a discerning eye. Is your furniture useful? Does it fit your current taste and style? Is there too much of it? Is it there because of obligation? If you’re storing Great Aunt Susie’s dining set, give her the benefit of the doubt and assume that she wouldn’t want her stuff to be a burden to you. Keep the items that are most precious and useful and let the others go. If you're not hosting big dinners anymore, but taking art classes, consider transforming the formal dining room into an art studio. 3. If you’re moving into a smaller place, get the dimensions of your new home and sketch out where the furniture will go. There are websites like PotteryBarn.com and Freshome.com that offer free online tools to help you arrange your rooms. It may be stressful to reduce, but it’s also stressful to move into a new place that’s crammed with too much furniture. Consider taking photos of your current place before you scale down to make a little memory book of your home as it was. 4. My parents threw a “Pick & Choose” party before their move. They spread out the items they decided not to move with them and then we all got to pick and choose the things we wanted. It’s always nice to give your children the option of saving the things that mean most to them without the obligation of taking it all. 5. If there are sentimental items that family members aren’t taking, consider photographing them for your own memory’s sake, or keeping a portion of it. Make a pillow out of a square from your old quilt, or keep one place setting of your china. Frame a piece of your grandma’s handmade lace tablecloth if you no longer have a large dining table. 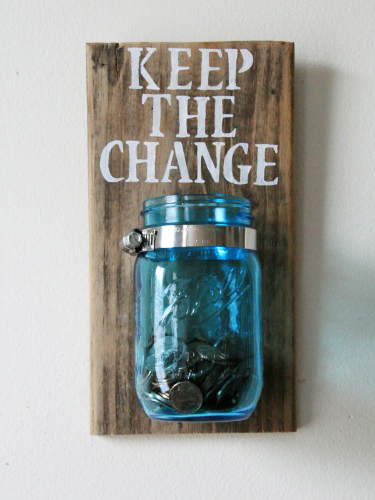 Be creative in finding ways to have your cherished items visible and honored. This shadowbox (pictured) holds a page from my grandfather's notebook, a pieced quilt square, jewelry, and hair-clip belonging to my grandma, and some rocks that my grandfather polished. 6. For other items of value consider consigning them or selling them on Craig’s List. An estate sale is also a viable option. Some estate companies offer buyouts instead having a sale on your property. (Feel free to contact me for referrals.) Remember that whatever you’re holding on to is costing you something. Don’t let the monetary value you have in mind for your things keep you from letting go and living a rightsized life. Donating items to your favorite charity thrift store is a fast, easy, and tax deductible way to reduce. 7. Is storing your grown kids’ stuff holding you back from having space to use for your own hobbies or rightsizing to a place more manageable? With a couple clients I photographed their adult childrens’ belongings and emailed the pics for their “yay or nay” on what they’d like sent to them or saved for next time they’re in town. If your kids are local, you can gather up their items and give them a deadline before the donation truck arrives. Today as I opened a “new document” on my computer, a blank page popped up. It reminded me of the feeling of a new year. A blank page. But in reality, it’s not blank. It’s full. Full of opportunities. Full of choices. Full of experiences. Full of the unseen. As you consider this new year, what’s your perspective? Is Doris Day singing in your ear—“Que Sera, Sera” what ever will be, will be? Or, are you planning to take a more intentional role in 2016? A University of Scranton study reported in The Journal of Clinical Psychology that “People who explicitly make resolutions are 10 times more likely to attain their goals than people who don’t explicitly make resolutions.” On the opposite side, as Zig Ziglar says, “If you aim for nothing, you will hit it every time.” One way or the other, 2016 will be full. The question is-- how much of it will be intentional on your part, and how much of it will be determined by other people’s agendas for your life? I thought I was clever when I named my company “Organized By Choice” with the tag-line “because things don’t always fall into place.” But getting organized isn’t the only thing that’s acquired by choice. Heathy relationships, healthy bodies, financial gain (unless you won that billion-dollar lottery), further education, quitting bad habits, starting good habits, and so much more requires choice, not chance. On your “blank page” for 2016, what will you choose? Since there’s no time like the present, grab a piece of paper or open a blank document on your computer and, if you haven’t already done so, write down two or three things you would like to see happen in 2016. Set up for success: What do you need to make your goals a reality? Supplies? A new routine? A mentor? Professional help? Accountability? Good intentions simply don’t cut it. Under each goal list what you need to succeed. Prioritize your list so you have a plan to follow. Small step: Each of my goals, and perhaps most of yours will require an element of a new routine to ensure success. Since we have all failed at starting new routines, this step can be daunting. Leo Babauta (zenhabits.net) says, “If you want to build trust in yourself, you need to start with something incredibly easy, something you won’t fail to do. Most people ignore this advice, and fail, and then don’t believe in themselves.” Another proponent of small steps is Dr. Robert Maurer. In his book,One Small Step Can Change Your Life Maurer suggests that slow progress is better than no progress. Even doing one push-up a day until that becomes your new normal, is better than saying, “I’m going to do 50 push-ups every morning,” and then quitting after the first week. Once you have successfully incorporated your small step into your lifestyle, add a tiny bit more until that becomes your new normal. Go public: One step that's hard but helpful is to make your goal public. It doesn’t mean you have to put it in a newsletter like I did, but tell someone that cares about your success and will support you in the process. I know this is nothing new. It sneaks up on us every year—but really! Where did October and November go? Personally, I think our 90-degree October weather had something to do with it. So, here we are getting very close to Christmas and some are getting very close to crashing. Before you crash, may I recommend something that may help save your sanity? Embrace imperfection! Which is better—to relax with your company when they arrive, or to have spotless blinds and baseboards with you frantically getting ready at the last minute? Which is better—to have your gifts wrapped and ready a week before Christmas, or fighting the crowds still looking for the “perfect” gift on Christmas Eve? When perfection is the goal it slows and sometimes even stops progress. Most of us aren’t consciously aware of our perfectionist tendencies. We only know that things get more frustrating and stressful when the pressure’s on. We don’t realize that we can control the pressure and reduce the stress simply by embracing imperfection. Here are a few Timely Tips to help you embrace imperfection and a joyous holiday season. 1. List & Schedule Your Non-negotiables - If you’re preparing for company, make a list of the things that absolutely need to be done. Make it a short list. Such as: de-clutter the living room, clean the guest bath and kitchen, and prepare the table and food. Schedule specific times for the tasks you’ve deemed essential. If you can do more, fine, but if not, consider done is better than perfect. I can almost guarantee, no one will be putting a white glove on your blinds or baseboards. 2. Hide Your Mess - Yes, I said it. Don’t be afraid to temporarily hide a mess. If de-cluttering the living room means cluttering a closet, laundry room, or bedroom, do it and close the door. Of course I don’t recommend leaving it that way indefinitely, but the holidays mean extra stuff like bags and bows and boxes of decorations that we didn’t have time to get to. Remember, we’re not going for the perfect house award; we just want to enjoy our family and friends, so let it go. 3. Delegate - I know the saying, "If you want something done right, do it yourself," but I’ll let you in on a little secret—you can’t do it all, at least not with a good attitude. Believe me, I’ve tried! I’m preaching to myself when I say, “Delegate.” The kids can vacuum and dust. If you have a cleaning service, don’t clean after they’re done (I know some of you do!). Maybe someone else can make Grandma’s pecan pie recipe this year, or just send out an email and have people sign up to bring what they want. Make a list of last minute things that need to be done so that as your guests arrive you’re prepared to enlist their help. Maybe the forks won’t be positioned perfectly by the plates, but remember our new mantra—done is better than perfect! 4. Give Yourself Self-Care - Most of us would prefer sharing a Christmas celebration with a loved one who didn’t arrive home exhausted at midnight Christmas Eve because they were still searching for the “perfect” gift. If you have that perfectionist tendency, consider giving a gift card with a coupon for a shopping day with you. That way you know they’ll get what they want, and you can be rested and ready for a joyous holiday! Or give yourself a gift for when the holidays are over – an Organized By Choice gift certificate! We were organizing my client’s catch-all room and came across her Costco surplus supplies laying on the floor. I suggested putting them in the hall closet. “There’s no room in there,” she said emphatically. I hear that a lot. Closets seem full, so things are left out or clutter-up other rooms. Often after a quick closet purge of items no longer needed or used, a client is surprised by an open shelf. Sometimes our lives are like those closets. We randomly stuff them full. Pretty soon, we can’t stuff another thing in, and so things get left out. Sometimes important things. We can’t see that, with a little intentional thought, we can let go of the less important things and make space for what we truly value. In my coach training we talk about creating “A Life That Fits.” Sometimes that means discovering your passions and strengths. Other times that means letting go of a negative perspective, or adding something like a new routine or system. Creating “A Life That Fits” is unique to every individual. There is one component, however, that I believe is essential to every “Life that Fits.” It’s gratitude—the quality of being thankful. Think about it. What does gratitude do for you and those around you? Have you ever regretted or felt worse after being thankful? Has there ever been a time when you didn’t have at least one thing to be thankful for? I recently sat at an event with people from three different families who were each grieving the loss of a child. As they shared with one another how they were coping with the upcoming holidays, I was profoundly struck by the fact that two of them mentioned giving thanks as a method of coping. Intentionally choosing to ponder and give thanks for the blessings in life isn’t removing their pain, but it is helping them cope. In the article, A Serving of Gratitude May Save the Day by John Tierney (nytimes.com) he says that cultivating an "attitude of gratitude" has been linked to better health, sounder sleep, less anxiety and depression, higher long-term satisfaction with life and kinder behavior toward others. For something that's free and has no negative side effects, gratitude offers some amazing benefits! Remember the commercial, "There's always room for Jello?" Even if you feel like your life is too full as it is, there's always room for gratitude. May I challenge you to add a daily dose beginning this Thanksgiving week? When I was a kid, we had a plum orchard across the street and a big field in the back. We would sculpt dirt clods after the orchard had been plowed and make forts in the field. Daniel Boone was our hero and we'd find really long sticks to use as our rifles. You might say we were masters at repurposing! I suppose the depression era folks were the true masters and many people still hang on to things-- just in case. As an organizer I'm not against saving things, as long as you know where to find them when you need them, and they're not getting in the way of what you currently need and use. Better yet, I'm all for reducing, reusing, and recycling. Today's Timely Tips offer some help for those looking for responsible and productive ways to reduce, reuse, recycle and dispose. The links are for places in the Fresno area. 1. Gently Used Items - If you do a little homework, you can find a place where your used items will not only become available to those in need at affordable prices, but will also provide funding for worthy causes like job programs, hospice, and family services. Here are just a few Fresno area thrift stores that also offer a tax donation receipt: Neighborhood Thrift, Hinds Hospice Thrift,Fresno Rescue Mission Thrift, and the Salvation Army. 3. Hazardous Waste - Free drop-off for Fresno residents American Avenue Disposal Site (18950 W American Ave, Kerman, CA). 4. Eye Glass Donations - Contact a local Lions Club member or click on the link for a mailing address: Lions Club Eyeglass Recycling Program. 5. Cell Phones - Marjaree Mason Center (1600 "M" Street, Fresno) collects all cell phones, including non-working cell phones and those without chargers. 6. Electronics - Best Buy (7550 N Blackstone, Fresno) accepts TVs, computers, appliances, printer ink, DVDs, video games, cameras, and more. The other day I thought I was having serious computer problems. When I tried to guide the mouse, the curser seemed to have a mind of its own. It certainly wasn’t going the direction I intended. Fortunately it didn’t take me too long to realize I had the mouse upside down. Do you ever feel like family life is like that? You’re doing your best to guide it along, but instead of running like it should, it’s all over the page. The beginning of the school year can be challenging, but also a great time to take steps toward order. One of my clients has four kids in four different schools. The driving schedule alone can drive a person crazy! Add to that sports, music, gymnastics, homework, etc. and it’s a recipe for fast-food Fridays every night of the week. There’s no one-size-fits-all when it comes to creating a functional family, but here are a few tips and tools to consider if peace and productivity is a priority in your home. House Rules - When I was teaching Sunday School we had one rule -- Respect. That's a great place to start in a family, too. Respect needs to go in all directions-- children to parents, parents to children, respect other's property and your own. A family that values respect can't help but create more peace and unity. Collaborate with your children about other house rules-- homework schedule, video game time, curfews, etc. Establish appropriate rewards and consequences. When everyone is very clear about the expectations, it thwarts a lot of arguing and stress. Chores - Besides providing our kids with opportunities to learn academics, sports, music, dance, etc. it's our job as parents to give them the skills they needs to manage their own households someday. Good managers don't do all the work themselves. They equip a team that works together for the common good. As your family's manager, be clear on what, how, and when chores needs to be done. Even if your kids buck the idea (and they will!) they'll experience an increased sense of self-worth and belonging as they contribute to the family. For specific chore ideas visit The Chores Kids Can Do, By Age Group. Routines - Ready to eliminate nagging? When my daughter taught preschool, her three-year-old class learned routines like putting their things in cubbies as they arrived. Schooldays are built on routine like that. These simple practices can be duplicated at home. Plan and write out routines for before school, after school, and bedtime. Building routines takes consistent practice, so don't give up easily! Of course you'll have to be flexible at times, but as your routines become habits, the nagging can subside and your kids will be more responsible. Don't underestimate the power of routines to maintain order, or the ability of your family to learn them. Even three-year-olds can do it! Family Fun - Be sure to build in some family fun too! Maybe Saturday morning pancake breakfasts, or Friday pizza and game nights. Collaborate about your next family vacation or let the kids each pick an activity and destination for a day trip. Volunteer together at a charity function or local non-profit that benefits those less fortunate. These practices help establish strong family ties, reinforce values, and make your family more FUNctional! Track it all - COZI is a free app and website that helps you track your family's schedules, chores, meals, and more! The other day I was in Target and overheard an older gentleman ask an employee if they carry adding machines. I had to smile as the young man asked for a description of what an adding machine is. Home offices and their contents are highly relative to age and digital use. Of course there are exceptions. Even my son, who went paperless, gets daily mail and occasionally has to put a stamp on an envelope. Most Baby Boomers have either had a home office all along, or as soon as the kids move out create one. We carry the idea that that's where we should store and do all our paperwork, but with the advent of laptops, paperless statements, and online bill-paying, most people find themselves paying bills in the living room or sitting at the kitchen table. The fact remains, there are still documents you need to keep or at the very least you need a place to put your digital scanner. Many more people are working from home, making a home office a necessity. My office is a work in progress. My husband thought I was crazy when I gave up my huge corner desk and downsized with one that's more my style. Whether your home office sports an adding machine or you're "office" is wherever your laptop lands, today's Timely Tips include some of the basics for home office management. Workspace - A desktop computer requires, well... a desktop. Preferably, the desk should have a drawer or two for supplies. Even if using a laptop, it's good to have a clean flat surface to process mail, fill out forms, and store basic supplies. If space is an issue, a desk like this fold-out convertible desk can be mounted just about anywhere. Basic Supplies - A junk drawer is simply a supply drawer turned junky. Keep it junk-free by using a drawer divider with designated places for your paper clips, rubber bands, tape, stamps, post-it notes, etc. If your "office" is in the kitchen designate a drawer for office supplies or place them in a bin in the cabinet. Working Files - I use this Wall File Holder for forms I need to access frequently, current projects, and action items. You can also use them for bills to pay, events (invitations, tickets, etc), and a temporary holding spot for receipts and other items. A desktop holder can also store such folders and be placed on the kitchen counter, or wherever the mail is processed. Shredder - Unfortunately this has become a staple due to identity theft. Position your shredder so that as you process your mail you are able to easily shred those items that might compromise the security of your identity. If it can't be near your mail processing area, have an extra folder for the "To Shred" items and dispose of them weekly. In addition to a shredder be sure to have a paper recycling container (trash can) close by. Inbox - Even with our best intentions there are times when we have loose papers that haven't found a home yet. Containerize them with an "inbox." This could also serve as a simmering place for things that may or may not be kept permanently. Just make sure it doesn't hide important papers or fill to overflowing. I place mine in my desk drawer when not in use to maximize open space on the desktop. File Drawers - For long-term filing that isn't stored digitally, use a file cabinet for easy access. If you don't have an office, this can be tucked into a closet, or put into file bins and stacked. Keep in mind that we only refer back to about 20% of what we file, so be selective when putting things into files. Julie Morgenstern on naming files-- The secret of quick retrieval is to have the fewest places to look for a given document. Keep titles simple and categories broad.